Gracie loves our afternoon walks. 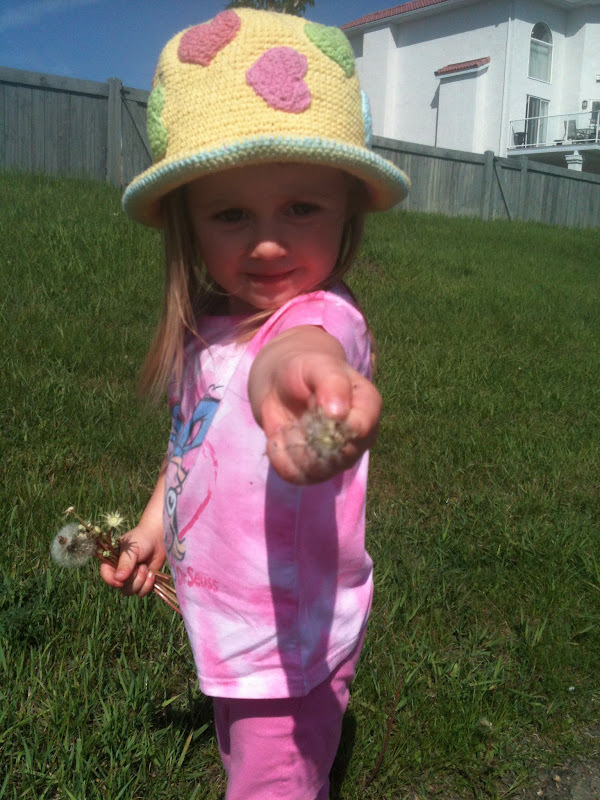 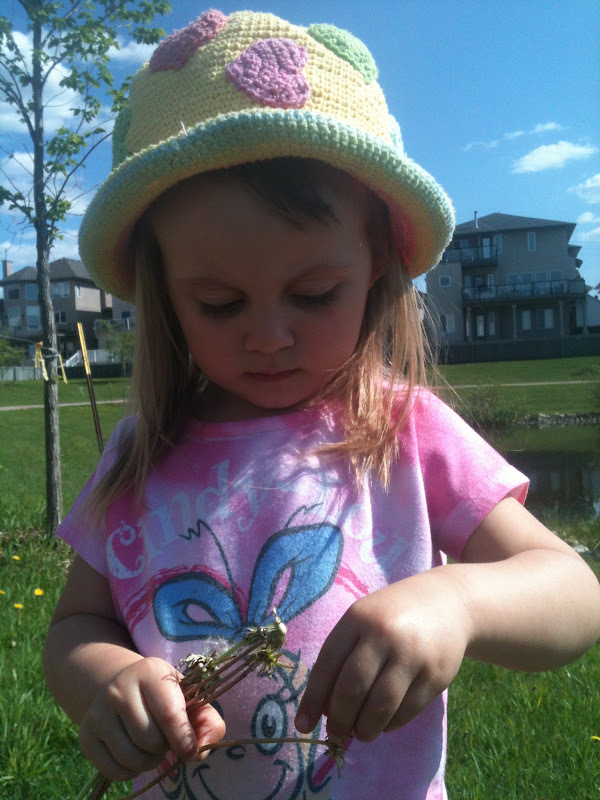 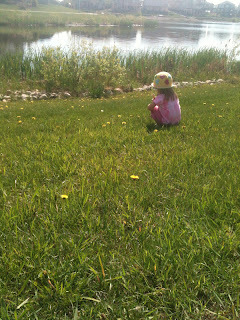 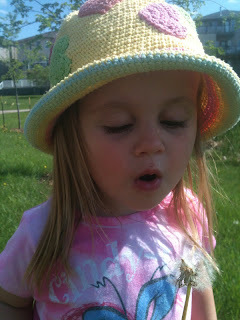 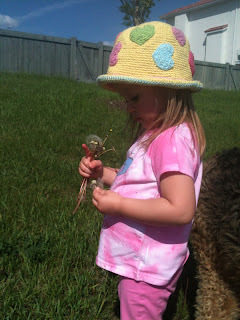 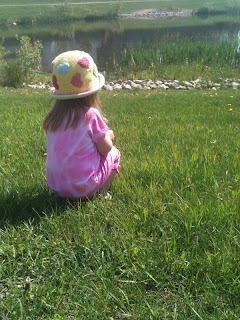 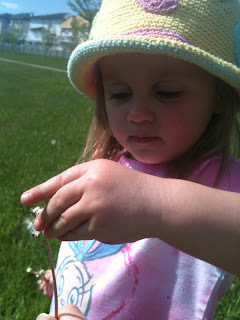 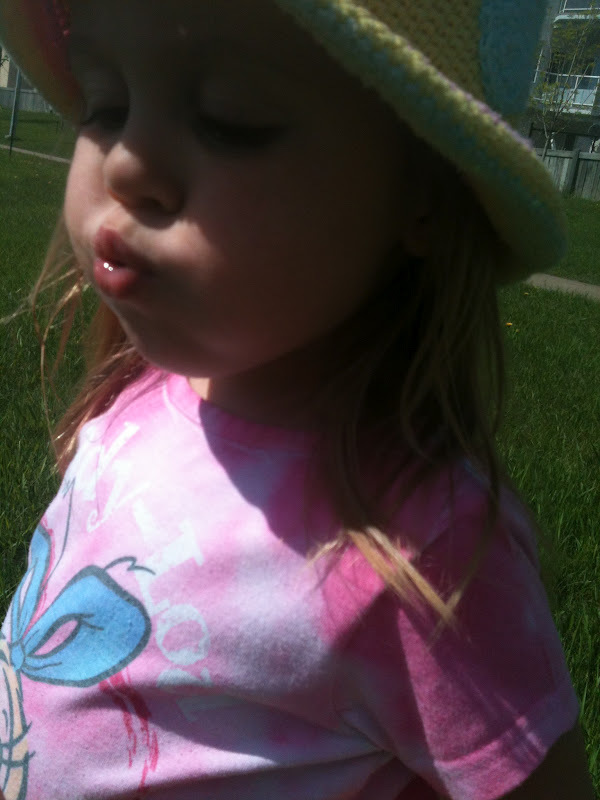 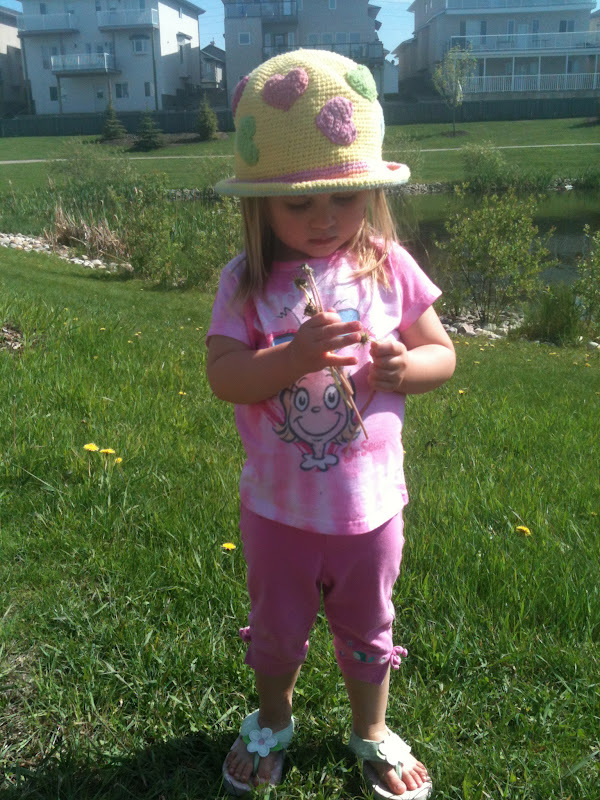 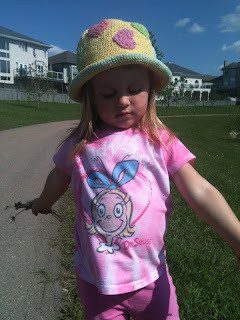 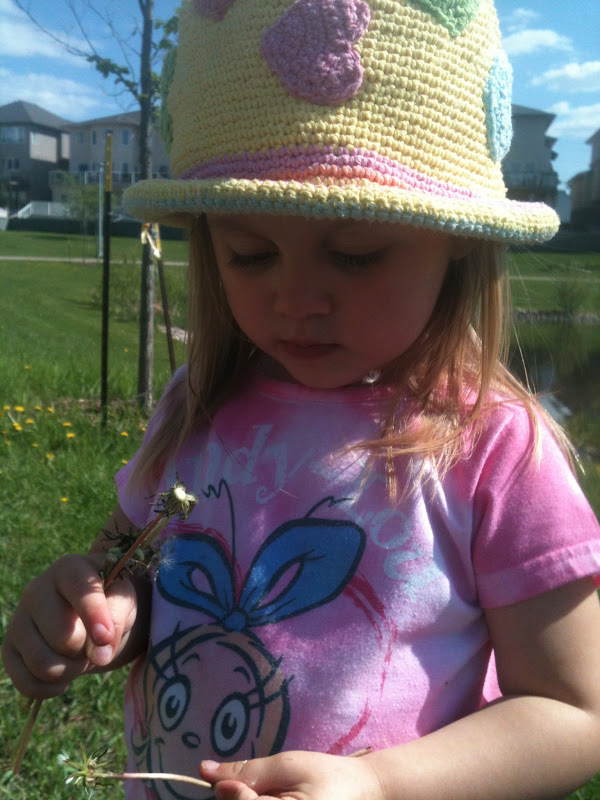 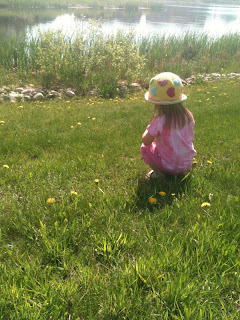 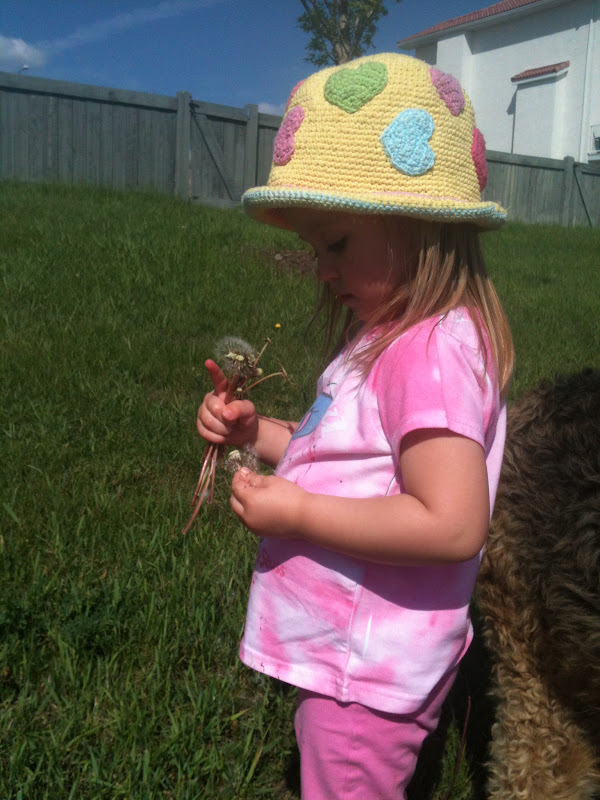 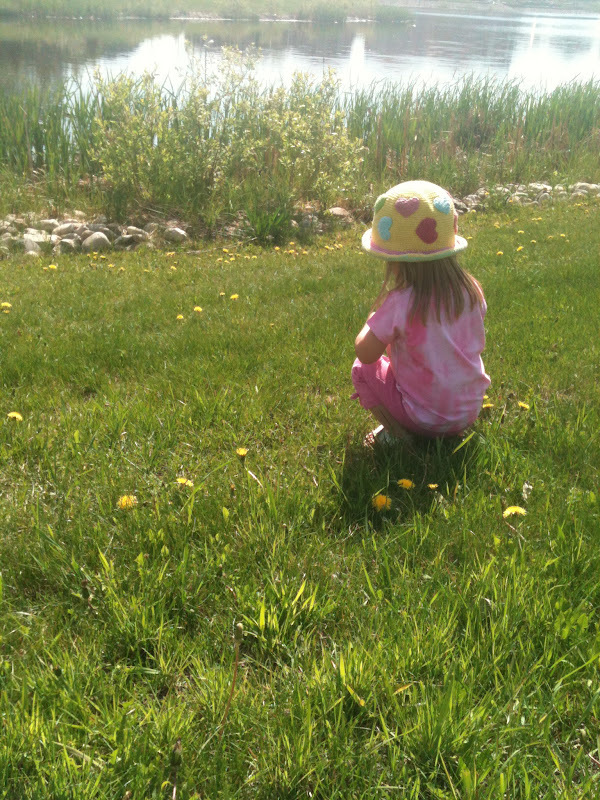 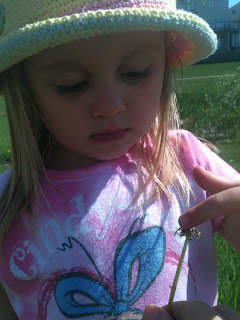 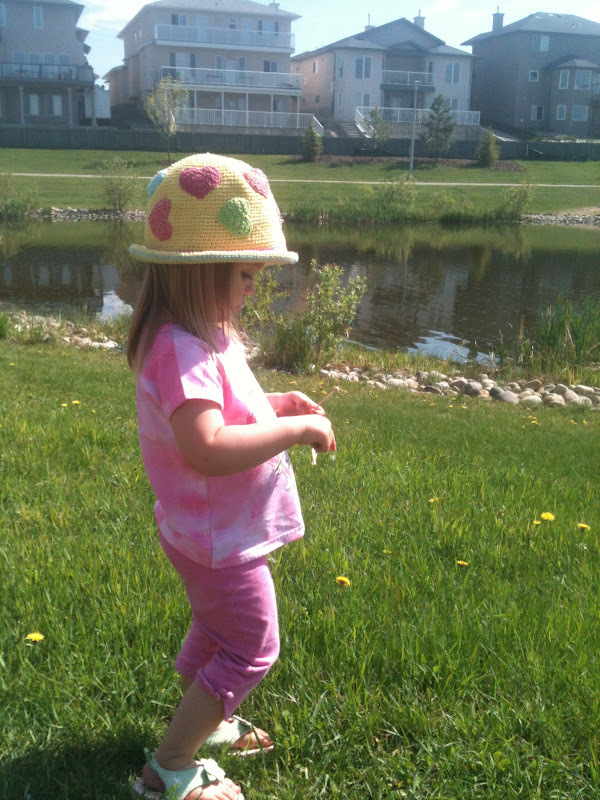 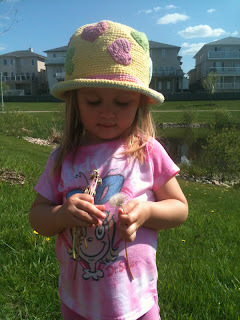 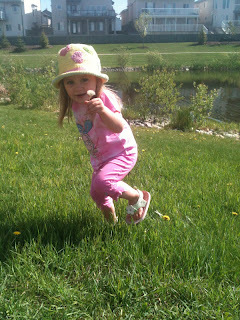 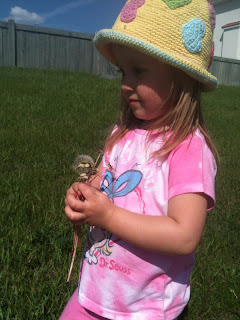 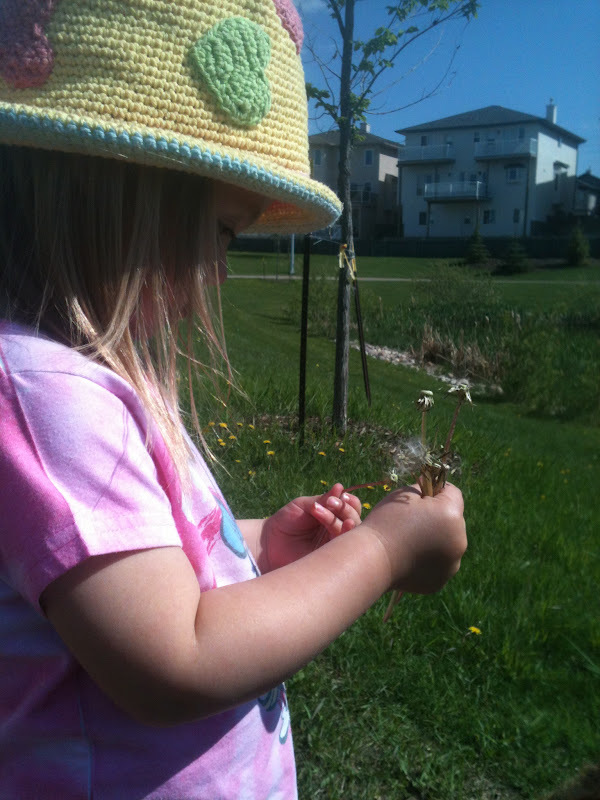 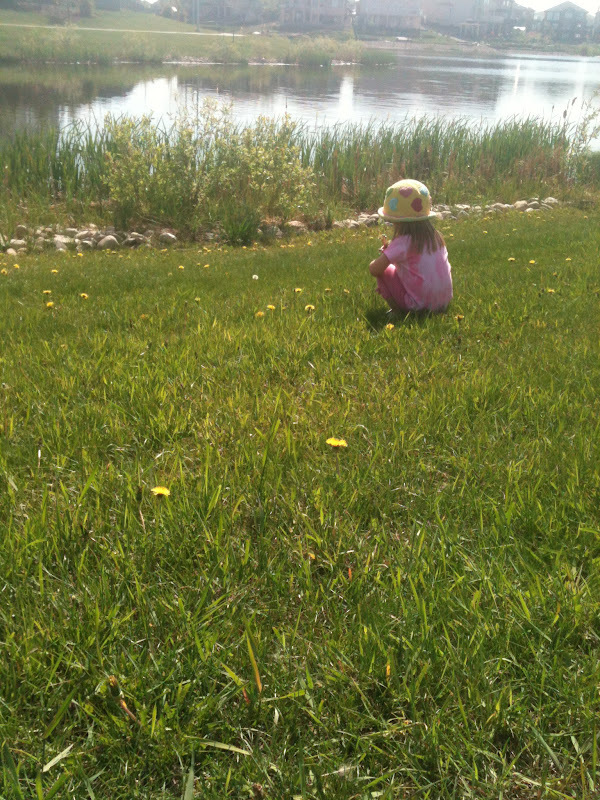 She picks flowers, blows all of the dandelion puff she can find, runs with Bailey, checks on the ducks and geese at the pond, and practices crossing the street. 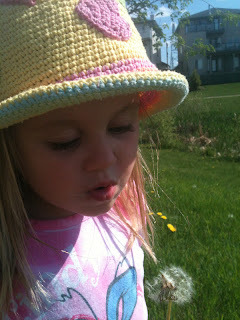 These are actually a few months old, and are just taken with my phone, but I like them.